William and Chris welcome listeners through the back door to hear their thoughts on Marion Bridge. The movie is based on the play by Daniel MacIvor. Family secrets are not explicitly revealed but they compare this tale of sisters to the movie Sisters (1972) and the movie Sisters (2015). 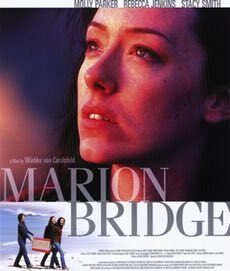 Find out more about the movies we mentioned on the IMDb pages for Marion Bridge, Short Term 12 and Lady Bird.